Silent film star turned Hollywood's go-to interior designer William "Billy" Haines gets the You Must Remember This treatment. 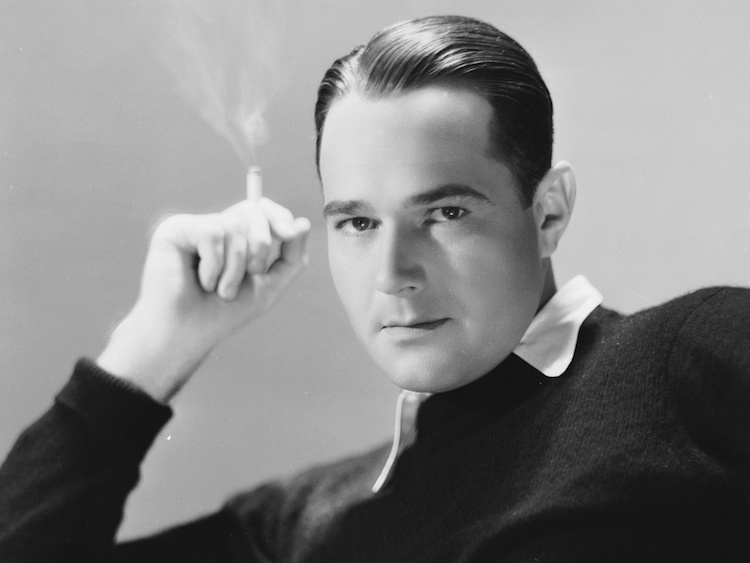 Known as a wisecracking leading man, William "Billy" Haines was the top box office draw of 1929, was friends with a young Cary Grant and remained lifelong besties with Joan Crawford. Through it all he was more or less openly gay, at the cost of his movie career, and married for 50 years to the same sailor he picked up on a publicity trip to New York in 1926. Crawford once called the relationship between Haines and Jimmy Shields "the happiest marriage in Hollywood." Haines is the subject of an episode from the latest season of You Must Remember This, a podcast dedicated to "the secret and/or forgotten histories of Hollywood's first century." Host Karina Longworth describes the permissive atmosphere of the '10s and '20s, when "boundaries between identities were perhaps more fluid" than even today, which made Haines's openness possible. Also, tabloids were in the pockets of the big studios like MGM where Haines reigned for five years, though no one really cared one way or another. Haines reportedly had flings with Clark Gable and Ramon Navarro before settling down with Shields, though that didn't keep them both from getting around town. Haines was arrested at a YMCA with a sailor—he had a type—he had picked up in LA's Pershing Square in 1933. This led MGM head Louis B. Meyer to force Haines to choose between his film career and Jimmy Shields. He chose the latter. Haines, however, rebounded quickly, becoming the most sought-after interior designer in Hollywood, with BFF Joan Crawford among his most loyal customers. Haines died in 1973 and Jimmy—unable to conceive of a life without Billy—took his own life soon afterwards, writing in a suicide note, "I now find it impossible to go it alone, I am much too lonely." I mean, could you die? A modern gay romance, a modern gay relationship, lasting successfully for 47 years. I think we can all learn something from this, namely, we should all try to pick up more sailors. C'mon, Fleet Week! Les Fabian Brathwaite—my make-up is very Indiana.